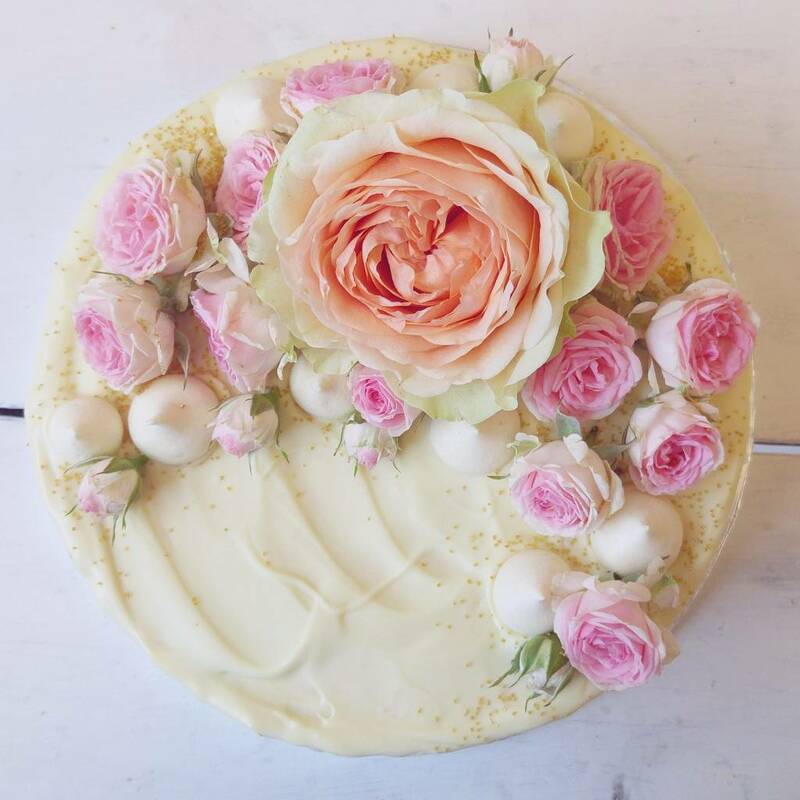 A classy pink cake with a crisp white chocolate drip, meringue kisses and fresh pink roses on top. 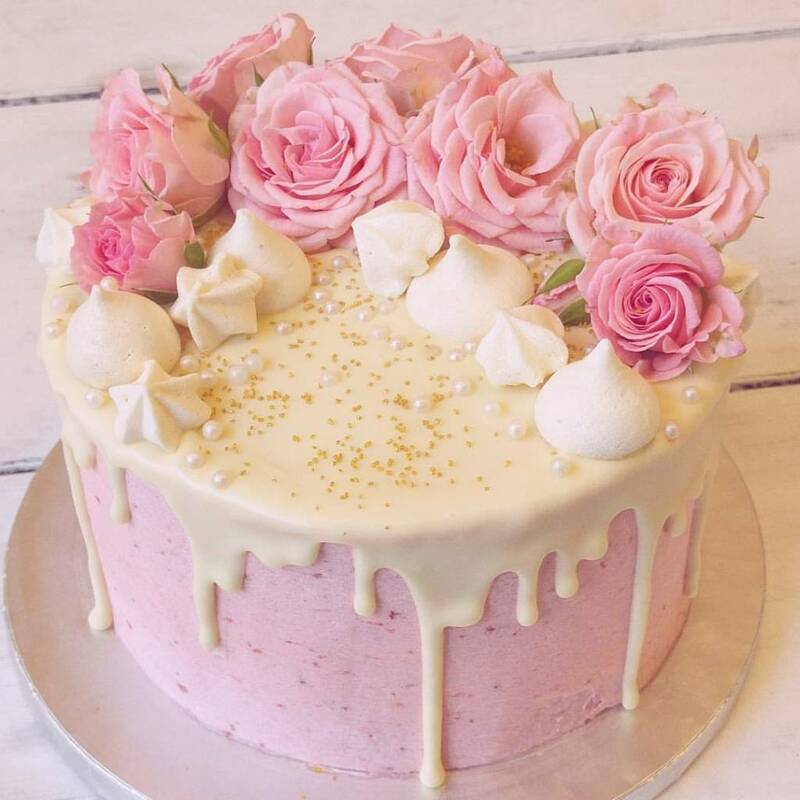 A delicious cake covered pink icing and decorated with a white chocolate drip, meringue kisses and fresh pink roses on top. Please let us know in the order's note which of the flavors you would like to have. * If pink roses in the right color aren't available/ in season we will match another flower in the right size and the right shades of pink to create the right look. *We recommend placing any order for a custom cake at least 1 week up ahead to insure the booking. It takes us a minimum of 2 work days to create our custom designs.